High School Senior Briana Tucker, a Raymarine Pro Ambassador, takes first place! 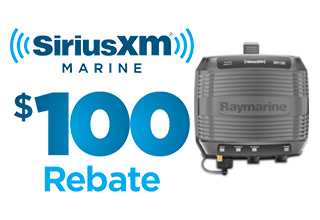 Get fishing information and weather on your Raymarine Multifunction Display with SiriusXM and receive a $100 REBATE when you subscribe to any SiriusXM marine weather subscription package for more than 60 days. The offer is valid from February 1 and December 31, 2016 in the US only.